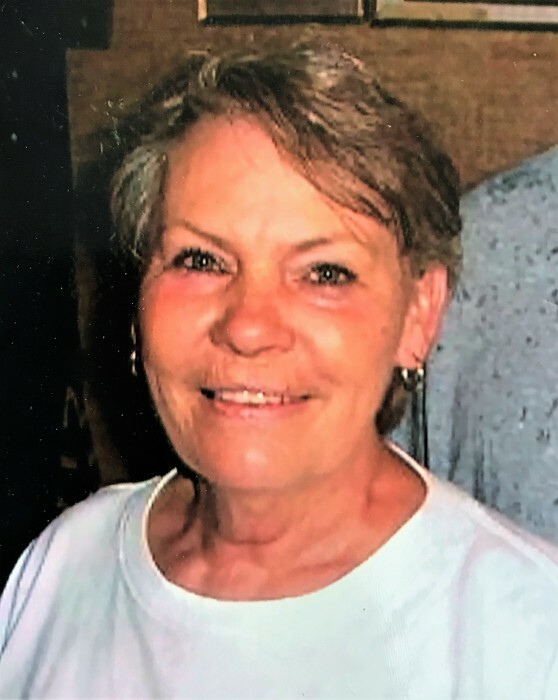 Mrs. Erma Jean Springs, 72, of Salem, KY, passed away on Sunday, March 17, 2019 at Livingston Hospital and Healthcare Services in Salem, KY.
Mrs. Springs enjoyed working at painting, hanging curtains and wall paper and going to yard sales. She attended Lola Pentecostal Church. She is survived by her husband of 54 years, Norman Springs of Salem, KY; son, James Timothy Springs of Salem, KY; sisters, Faye Baker of Salem, KY and Evelyn Orenduff of Tucson, AZ; three brothers, Tom Harris of Salem, KY, Billy and Robert Harris of Brook, IN; ten grandchildren; and two great grandchildren. She was preceded in death by her son, Norman Anthony Springs; sisters, Viola Miller, Emma Lou Belt, Leona Belt, Carolyn Mendez and Shirley Hackney; brothers, Buddy Harris, Tom Agent, Claude Agent, Jerry Agent and Denny Harris; step-mother, Estelle Harris; and parents Ules and Valada Shuecraft Harris. Funeral services will be at 1:00 PM, Thursday, March 21, 2019 in the chapel of Boyd Funeral Directors and Cremation Services in Salem, KY with Bro’s Tim Fouts and Billy Baker officiating. Burial will follow at Lola Pentecostal Church Cemetery. Friends may visit with the family on Wednesday, March 20, 2019 from 5:00 to 8:00 PM in the chapel of Boyd Funeral Directors and Cremation Services.